Guinevere (Prunus domestica 'Guinevere') was first introduced in 2000. It is a large, heavy cropping plum better eating quality and has an extended shelf life when fridge stored. 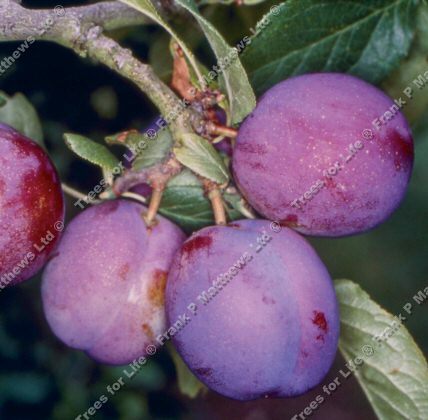 A healthy, well-formed variety, this plum is easily managed. Being self-fertile, there is no need for another plum to ensure pollination. We recommend this variety as a good garden plum. ripening around about the same time as Marjorie's Seedling. Fertility: This plum is self-fertile so there is no need for another plum tree for you to get fruit.